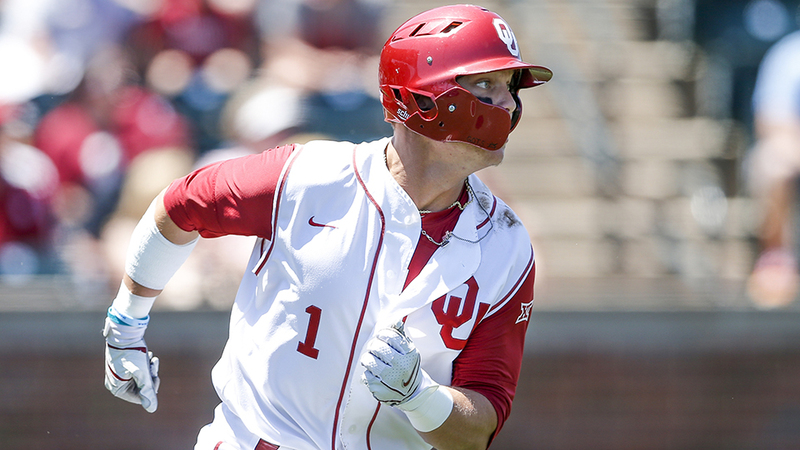 Through three seasons at the University of Oklahoma and tours in two prestigious summer leagues, Steele Walker had developed into one of the best pure college hitters in this year's Draft class. His offensive profile was strong enough to carry him through two Minor League levels to Class A Kannapolis, despite a rough start to his professional career. If the question wasn't if but when they would start to fall, then the 12th-ranked White Sox prospect provided an answer Saturday night. Walker homered and collected a career-high five RBIs on his first three-hit night as a pro as the Intimidators outslugged Augusta, 10-8, in 10 innings at SRP Park. The 22-year-old outfielder is batting .213 in the South Atlantic League while hitting at a .232 clip through 36 Minor League games. "I think he's been close all along to getting that timing back," Kannapolis manager Justin Jirschele said. "And he's shown some great signs of getting it back and, obviously, tonight was a great night for him. Hopefully, he's another step closer to feeling more and more comfortable." The 28-year-old skipper lauded Walker's maturity in his short time working with him, noting that he's quickly become a comfortable fit in the clubhouse. He also pointed out that, despite the numbers, Walker hasn't backed down from putting in the extra work while taking on new challenges, like batting third in the lineup. "He works his tail off each and every day and he wants it just as much as anybody. He's a true professional," Jirschele said. "Every single day is a new day. No matter what happened the last night, it's a fresh start for him and I really don't think he's worried about his numbers, and we aren't as well. We just want to get him some at-bats and some playing time and get a feel for who he is as a player and obviously a person as well." The second-round pick popped to third in the first inning and went down swinging on three pitches in the third against Augusta starter Jose Marte. But he was able to tap into his power in the fifth to jump-start his evening. Following a one-out double to left field by White Sox No. 27 prospect Luis Curbelo, Walker sat on a 3-1 offering and sent it the opposite way over the wall in left-center, tying the score, 3-3, with his second Sally League homer. "He's got a knack for the barrel. And he's got a knack for clutch hits," Jirschele said. "We've seen it since he's been here, he's had some cruicial timing hits for us. We've seen that [the power] is there. We see it every day in [batting practice]. I think he's just getting his feet wet and starting to get more and more comfortable each and every day he goes out there." Walker struck out again in the seventh but rebounded with a two-run knock up the middle in the eighth. He jumped on the first pitch he saw in the 10th, driving in an insurance run with a double beyond the reach of center fielder and Giants No. 2 prospect Heliot Ramos. Drafted 46th overall in June, Walker began his pro career in the Rookie-level Arizona League, collecting five singles in 11 at-bats (.455) before moving to Great Falls of the Pioneer League. He played nine games with the Voyagers, batting .206/.263/.412 with two homers, a double and four RBIs before a promotion to Kannapolis on Aug. 2. "He's had a long year," Jirschele said, explaining that Walker has suffered from the regular nicks and bruises that come with pulling double duty from college to the pros. "When he got with us, they were giving him some rest and kind of slowly getting the transition going into pro ball." The 5-foot-11, 190-pounder bested his previous year's mark in average, hits, homers, RBIs, slugging percentage, walks and on-base percentage for three consecutive seasons with the Sooners. Prior to his sophomore year, Walker played in the Northwoods League, an invitation-only wood-bat circuit for underclass prospects, and batted a league-leading .406 with seven homers and 31 RBIs in 212 at-bats. The Prosper, Texas, native tore it up with the lumber again the following summer, compiling a .333/.417/.514 slash line with two homers and 11 RBIs in 20 games with the U.S. National Collegiate team. Walker's final bow as an amateur was his junior season at Oklahoma, where he batted .352/.441/.606 with 28 extra-base hits, including 13 homers, 53 RBIs and 48 runs scored. Curbelo drove in another run with a groundout in the eighth. Shane Matheny delivered a pair of two-run singles for Augusta, while Ramos went 1-for-6. Orlando Garcia walked four times and Ryan Kirby doubled for the GreenJackets' only extra-base hit while also drawing three walks.